Student Engagement Application! 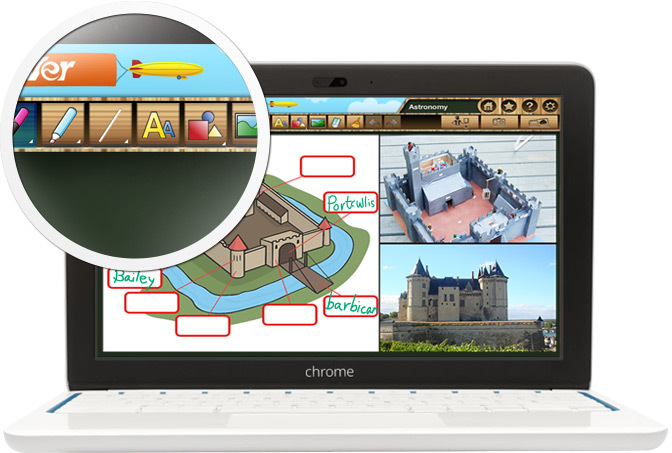 Works with the latest generation of Sphere2 PC/Mac software to enable interaction with your students' 1 to 1 devices! AVer is Revolutionizing Education through Technology™ with its ClassSend Student Engagement App. 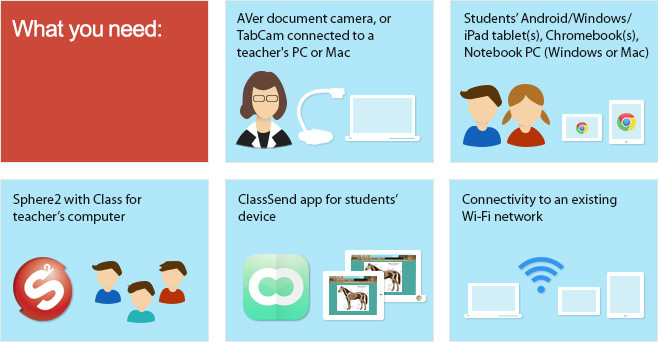 ClassSend lets students interact and engage with their teacher's document camera-based lessons. 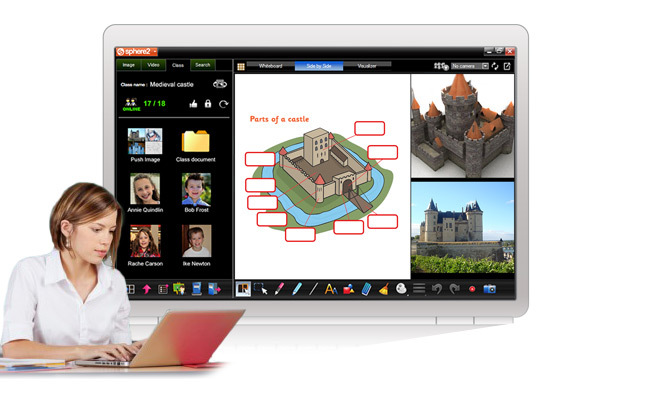 Working in conjunction with AVer Sphere2 presentation creation and document camera control software, ClassSend provides immersive, 1 to 1 classroom engagements by allowing students to use their Chromebooks, notebooks or tablets to interact directly with lesson content. Sphere2's new Class feature (for teacher's PCs/Macs) and the ClassSend app (for students) work together to provide an immersive Student-Engagement environment. Using Sphere2, you can configure a 'class' based on subject, topic, curriculum -- you decide! Within Sphere2, you can populate your class with students and customize their profile using their own images for icons! Ensure that the teacher & student devices are connected to the same Wi-Fi network. Have the students respond to your content using their ClassSend app's annotation features. The students can then send their content back to you! 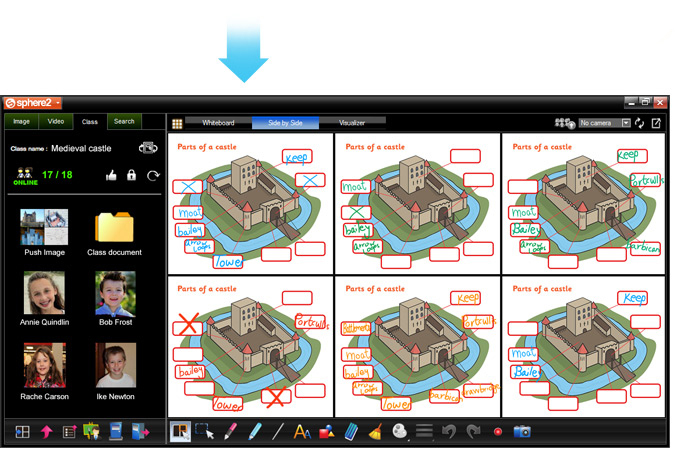 Teachers can display the students' contributions for comparison and to share to the entire class! Free with new AVer Doc Cams! So, where do you go to download and install the new Sphere 2 and ClassSend apps? What are the system requirements? When your Sphere2 software connects with one of the AVer devices listed above, the Class feature is enabled allowing direct communication with the ClassSend app that is installed on your student's device. Your students will be able to log into the class that you create, thus establishing a direct, interactive communication link that allows you to send and receive data with them. Opening your students minds to new levels of enchantment and engagement is just that simple! UPGRADE: Using a legacy AVer doc cam? Upgrade your system for only $29.99! If you are using a different AVer document camera than those listed above, a software upgrade purchase of only $29.99 will allow you to enable Sphere2's Class feature. For more information on this upgrade, click here. 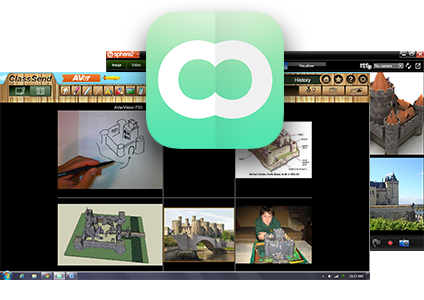 The ClassSend (for Students) app is installed separately onto your student's devices, and can be downloaded free at this ClassSend download site. To take full advantage of Sphere2's Class Student Engagement capabilities, the ClassSend free app should be installed on students' 1 to 1 iPad/Android/Windows tablets, Chromebooks or PC/Mac Notebook computers. 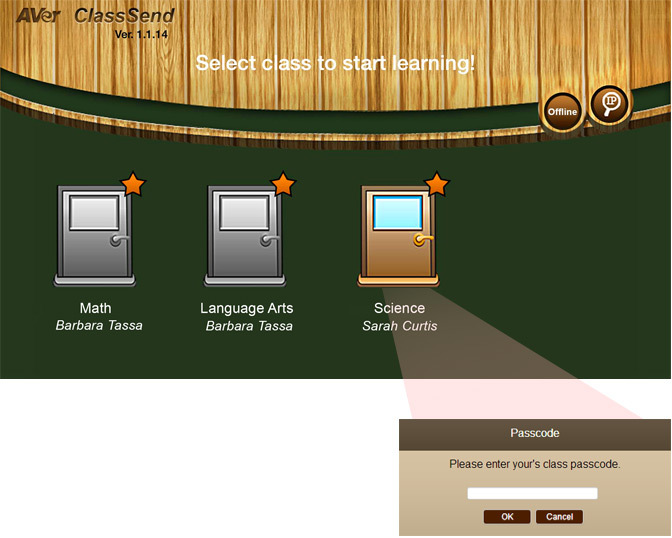 ClassSend provides student with a window into your lesson by allowing them to view and interact with content you send. ClassSend is easy to access, easy to use. The app can be downloaded for free from the Apple App Store, Chrome Web Store or Google Play (depending on the 1 to 1 device). Students can add to the class session by annotating, adding images or answering questions directly through the ClassSend interface. Students can share their knowledge by transmitting their contributions back for display on the teacher's Sphere2 application. Accolades! Get the lastest software here.